For those of you planning to see “Justice League” this weekend, note that in select theaters the trailer for my movie “Samson” will be appearing as part of the coming attractions. In glorious hi-def and surround sound, no less. If you should see it, please let me know how it looked and sounded. Click on the image to visit the official SAMSON web site! 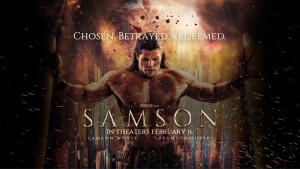 Previous Article← SAMSON TEASER TRAILER!